Why are countries laying claim to the deep-sea floor? 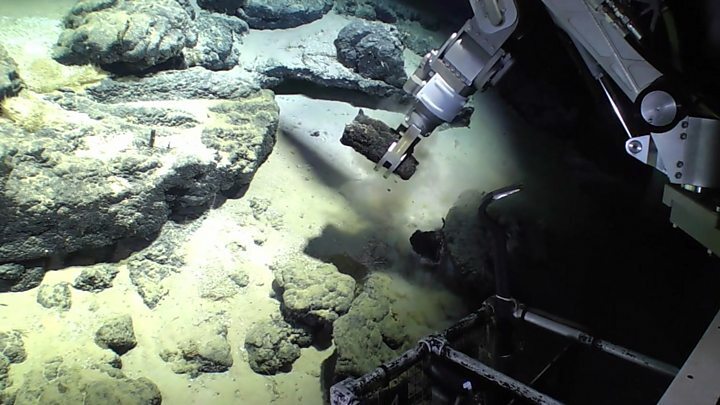 Around the world, countries are claiming obscure and difficult-to-reach tracts of the deep-sea floor, far from the surface and further still from land. Why? There is a long history of claiming newly discovered territories, of planting the flag at far outposts of the known world. In the early 20th Century, explorers raced to the South Pole, their sponsors keen to benefit from future exploitation of these unknown areas. In 1945, President Harry S Truman broke with convention to claim the entire continental shelf off the US. And, in 2007, Russia used a submersible to plant a flag at the North Pole. All shared a common motivation - the hunt for new resources - and there is now a new frontier: the deep-sea floor. Exploration offers the prospect of finding huge amounts of previously untapped resources, but serious environmental concerns remain. Only 5% of the deep-sea floor, which covers about 60% of the Earth's surface, has been properly explored. Light penetrates only the top layers, and the vast, deep oceans are pitch-black, with temperatures just a few degrees above freezing point. Each time it is explored - by mini-submarines tethered to surface ships - strong lights pick out fragile structures and animals that have never been seen before. But countries and companies are turning their eyes towards its minerals, potentially worth billions of pounds. Already, there have been significant advances in the technology required to discover, map and mine them - with robotic equipment built to operate at great depths. There are significant deposits scattered over the plains of the ocean's deepest abysses and encrusted on the rocky outcrops of underwater mountains. They are also on active and extinct hydrothermal vents - the fissures in the planet's surface from which hot water spouts. Deep-sea mining, an idea dating back to the 1960s, could now happen within 10 years. It has been made a possibility by population growth, economic growth and concerns over the supply and security of minerals on land. Copper, nickel and cobalt can all be found at high concentrations, in mineral deposits, as can the so-called "critical" metals. These include the rare earth elements used in a range of new technologies such as memory chips, LEDs and batteries for electric vehicles. It is thought the mountains of the Pacific alone could contain about 22 times more tellurium - which is used in solar panels - than the known land-based reserves combined. At present there is no exploitation of deep-sea mineral resources, only exploration. The UK - through a partnership between the government and a subsidiary of Lockheed Martin UK - is among countries exploring one of the main areas, the Clarion-Clipperton Zone, which stretches across the Pacific Ocean for thousands of miles between Mexico and Hawaii. There are serious challenges to overcome at this remote location. Equipment has to function reliably at depths of 5km (three miles) - where pressure is 500 times that at the surface - before deposits are brought on to ships and taken back to land. There are other resources closer to shore. Rich deposits of minerals are found at depths of over 1km (0.6 miles) in the Bismarck Sea off Papua New Guinea. For these easier-to-access reserves, deep-sea mining equipment has been designed, tested and built. If mining operations go ahead here, they will offer some insights for future and deeper operations. However, strong opposition remains over concerns about the potential environmental impact. Media captionShould we be mining the seabed for minerals? The rules for exploitation are yet to be agreed, but contractors will have to demonstrate they have assessed the environmental impact of mining and that plans are in place to manage the effects. This is perhaps the greatest challenge for deep-sea mining and the area of greatest tension. Our understanding of the deep-sea environment is very limited, let alone our understanding of the effects of mining it. The diversity of life in the oceans, particularly around deep-sea vents and other mineral deposits, is spectacular, yet we know there are many more species still to be discovered. 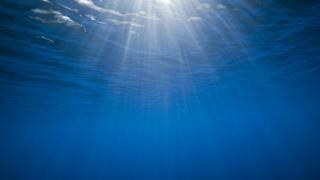 Recent research by international consortiums of scientists has begun to try to measure the impact of churning up the ocean floor. Mining could have consequences for many forms of life in the ocean. That could, in turn, affect the ocean's function as a food source and a carbon sink. It could also affect the search for new drugs and other products. Where the resources are found within 200 nautical miles (370km) of shore, it is up to individual countries to reach agreement about who owns them. In the deeper international waters, it becomes more difficult. Here, the International Seabed Authority (ISA) is responsible for awarding licenses for mining. Established by the UN in 1984, its decisions are legally binding on the 166 states - and the EU - who are party to it. Administering resources defined as being for "the common heritage of mankind", the ISA has so far approved 26 contracts of 15 years. These are held by 20 sponsor countries, including China and Russia - which have four licences each - and the UK, France, Germany, India and Japan - which have two licences. Licences have to be shared equally with a developing nation - each getting half the sea floor. The oceans already provide humanity with many resources, but the deep oceans have long been overlooked because of their inaccessibility. The coming years will potentially see a lot of changes, as our understanding and technology improves. The race to license areas of the deep ocean will only intensify. Prof Rachel Mills is dean of the faculty of natural and environmental sciences at the University of Southampton. She is a member of the Royal Society's Working Group on Future Ocean Resources, upon whose work this article is based.